Need some gift ideas for someone who loves to walk? No worries. 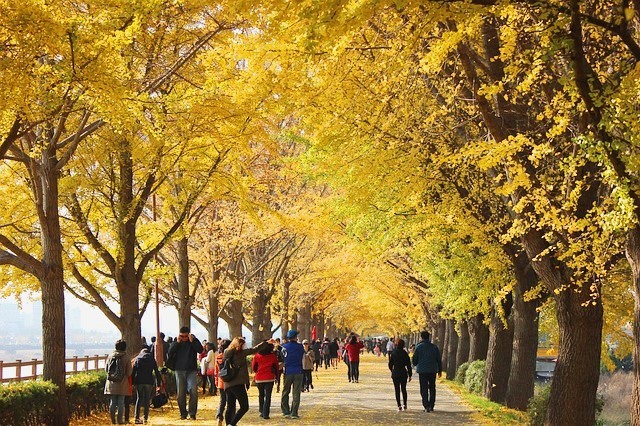 Here’s a list of gift ideas for walking lovers, starting at about $8.00! 1. 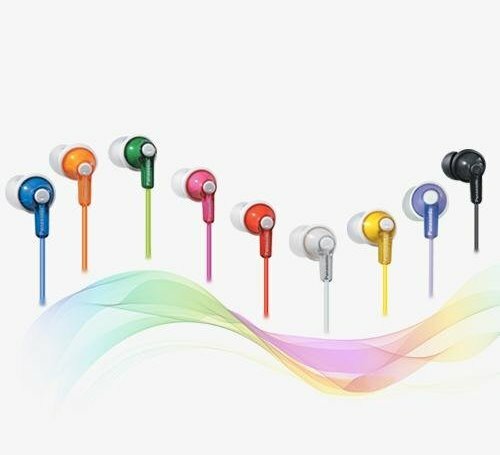 Panasonic ErgoFit In-Ear Earbud Headphones, $8.00 & up @ Amazon. Comfortable and dependable earbud headphones with dynamic crystal clear sound, and an ergonomic comfort-fit! Everyone should have a couple of these! 2. 2-pk clip-on LED Safety Lights (w/ free dog light), $11.95 @ Amazon. 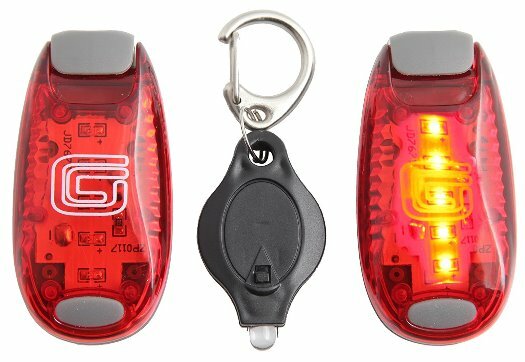 Walking at dawn or dusk can be fun, but having these safety lights makes good sense if you do…especially if you walk your dog! 3. 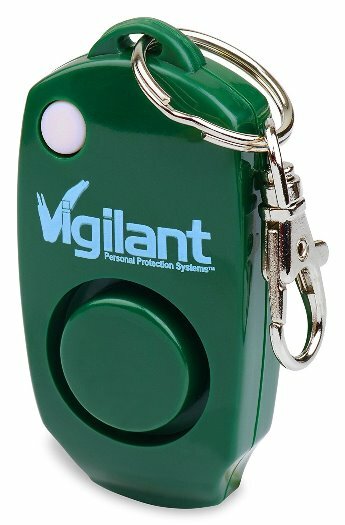 Vigilant 130 DB Personal alarm (w/ backup whistle), $15.99 @ Amazon. This is a wise idea for anyone to consider if you walk, run or bike in somewhat unfamiliar areas, especially without a travel buddy. 4. 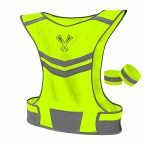 The 247 Viz Reflective Vest with 2 high visibility safety bands (by 247 Viz), only $19.99 – $21.99 on sale @ Amazon. Here’s a good way to make sure you’re seen walking near the road at dawn or dusk–-with a quality reflective vest, plus safety wrist bands, too! Great idea! 5. FlipBelt Waist Pouch (designed by Level Terrain, USA), $28.99 @ Amazon. A light flexible carry-all that holds anything a walker needs: smartphone, keys, money, cards and even a couple of water bottles, believe it or not…all this without the nuisance of a floppy bag! 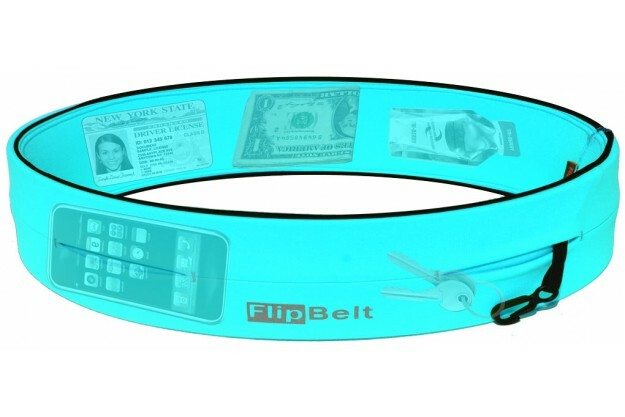 I bought a flipbelt last summer and loved it! For sizing, I suggest to go up a size larger, if you’re in doubt. To me it feels better to wear a belt below the waist, just above the hips. And I found it doubled as a belt for my low riding jeans (or cutoffs), too! 6. 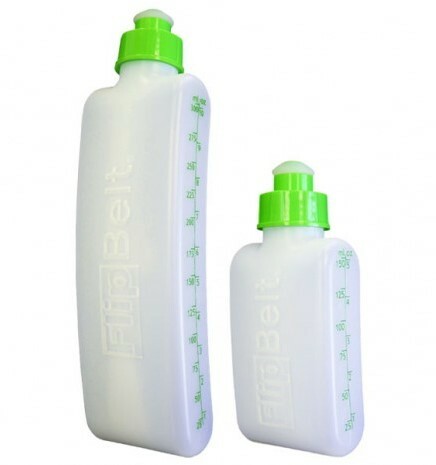 FlipBelt Water Bottles (Level Terrain, USA), $8.99 or $9.99 @ Amazon (for 6 oz. or 11 oz. sizes) Accessories for the flipbelt in 2 sizes. Their curved shape and sleek lines allow them to easily fit into the outer flipbelt slits in back. 7. 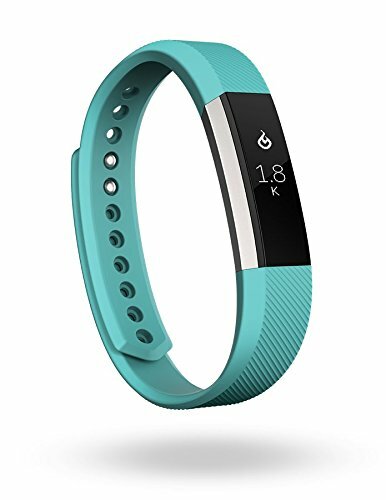 Fitbit Alta Fitness Tracker, colors/black $109.99 to $119.95 @ Amazon. It syncs automatically to computers and 200+ iOS, windows, & android devices with wireless Bluetooth, plus it’s super light and water resistant! What more could you ask for? Richard Paul Evans – author of an inspiring 5 novel series about a man who walked from Seattle to the Florida Keys. 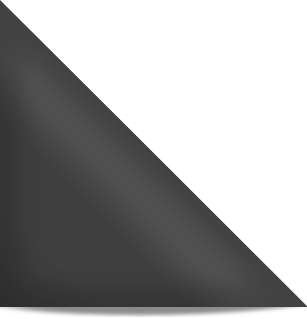 The series is thought-provoking and motivating–I cried when it ended! Loreen Niewenhuis – author of 3 books about her walking expeditions around the Great Lakes and the islands. I’m in awe of her–what a courageous woman with a passion for preserving the environment and a deep love of nature! For audio books, see Walk with an Audio Book for details. Most audio books are $14.99 @ Amazon. You may like to try out an Audible subscription, too—first month is Free! Happy online shopping, my friends! 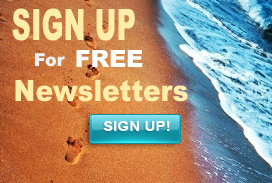 Sandra, it’s great to see new posts on your blog for the holidays! There are several items here that I’d love to by for people I know . . . or for myself :). I was thinking of buying trekking poles as a gift for a relative who hikes and walks on trails; have you ever used them, and if so, what are your thoughts? Thank you, and have a joyful holiday season. Great to hear from you again! My apologies for the delay in responding—it’s been a crazy week! Although I myself do not own a pair of trekking poles (yet), I’ve researched them over the years, have friends who use them with great success and just recently did some research to find specific suggestions on Amazon, too. So I’ll give you my short “two cent” synopsis on what I’ve discovered as a prospective buyer, (to be purchased soon)! I’ve read that they’re great for hiking in snow! The two most popular materials used to manufacture trekking poles are aluminum and carbon fiber. One can spend as little as about $20.00 to as much as $300.00 on trekking poles and still have poles that will offer multi-terrain and multi-weather usage for many years, depending on how often they are used, the duration and stress involved per session, as well as the size/weight of the hiker. I’ve read many glowing Amazon reviews from people who’ve gone on challenging adventures in terrians such as the Alaskan Yukon, or the Appalachian Trail and still swear by their very affordable (under $50.00) aluminum trekking poles! The cliff-note version of the difference in aluminum versus carbon fiber is that aluminum is less expensive but heavier, whereas carbon fiber is more expensive, but lighter. Aluminum can bend (in some extremes), but can be realigned if done carefully, whereas carbon fiber, given those same extremes, will most likely fracture. When comparing weight: most aluminum poles range 10 oz. to 12 oz. per pole, compared to carbon fiber poles that range from 6 oz. to 8 oz., so the weight difference is significant, but not unmanageable for either gender. Another consideration is the hand grip: plastic, foam or cork being the most popular. Plastic and foam are less expensive, fairly comfortable and durable, while cork is more expensive, has more “give” to it and absorbs the moisture in sweaty hands. My thoughts on what I would purchase after my research, is that I would buy a set of aluminum trekking poles with plastic or foam hand grips such as the BFAX Products Trekking Poles as it would allow me to discover the world of trekking poles at a more affordable price. I see the few ounces of weight per pole as an advantage in giving me a more complete workout when I walk (much like small wrist weights would do). But if I were to “go for” a pair of carbon fiber trekking poles, I’d probably choose something like the Foxelli Trekking Poles, which also have cork hand grips and still are within my budget! If and when you do make your purchase, please let me know and any feedback from your friend regarding their experience with the trekking poles would be great to hear about, too! I wish you the best in making your choice. If any readers here are experienced “trekking pole” users, please jump in with any thoughts you may have—it would be most appreciated! As I said, I have much to learn about these walking tools so I will welcome your comments with open arms! I’ll follow up with my own experience once I purchase my own trekking poles, too.